At Live at Home, we run a variety of exciting and fun social activities for people over 55. We enable older people to live independently in their own homes for as long as possible, helping them to live later life well in their local communities. Services are locally run by our team of staff and volunteers who all have a passion and commitment to improving the lives of the older people they serve. Activities and services include befriending, lunch clubs, assisted shopping, dance and exercise classes, cheerleading groups, outings, holidays, escorts to appointments and much more. New activities are added on a regular basis. Each local scheme is member-led meaning that our services are shaped by the people that use them and is available at over 60+ locations nationwide. To find a scheme near you visit our service finder here. If you’d like to join our community of amazing volunteers helping to improve the lives of older people please get in touch. One of the most popular services within Live at Home, befriending is exactly what it sounds like – getting people together to make friends. Many older people living in their own homes can become isolated and lonely, but with a regular weekly visit – perhaps to read the paper to a visually impaired person, or to play cards or accompany a member with their grocery shop - Live at Home can help stop this from happening. Our trained volunteer befrienders are matched with scheme members based on their interests and personalities by their local scheme manager. Some schemes also offer a telephone befriending service. A chance to get out of the house, have a hot, balanced meal – and not have to do the washing up! We organise regular lunch clubs to give our members the opportunity to leave the house, meet old friends and make new ones in a warm, friendly setting over nice hot meal. The meals are designed to be healthy, balanced and nutritious and catered to members’ specific needs. The service also provides transport to members who would not normally be able to travel independently so that they can join the group too. Sometimes it’s not easy or even possible for people just to pop out for their essentials. There are three ways a scheme might provide an assisted shopping service: it may be an escorted one-to-one trip with a volunteer, a volunteer doing the shopping for someone, or a group trip, possibly in a minibus or community transport. There might also be additional services for Christmas shopping! It’s not just lunch and breakfast – many Live at Home schemes hold clubs for crafts, games, activities, exercise and making friends. Often based around coffee mornings, these clubs are a chance for members to get together, have some fun and company and enjoy an activity. Promoting physical wellbeing, many Live at Home Schemes offer varied and interesting exercise classes to encourage members to keep active and mobile. All classes are designed to be as inclusive as possible so that members of all physical abilities are able to take part. Many schemes arrange daily telephone calls to check on a person to make sure he or she is alright and offer reassurance. If there is no answer or there is a cause for concern, the volunteer caller can inform the next of kin or relevant service. Some schemes also provide telephone prompts to members as reminders for appointments or other key dates. A key part of independence is being able to get out and about. Live at Home schemes frequently use volunteer drivers, minibuses and community transport to enable members to get to activities or medical appointments (eligibility criteria and charges apply). It’s a constantly changing world. Many schemes offer classes in various life skills such as IT and how to get the most out of the internet. If older people find themselves in a situation where they need some outside support (perhaps after a medical diagnosis or personal crisis), Live at Home will signpost members to any local services and agencies that can help. Information and advice services are confidential and designed to enable people to make an informed decision about the options available to them. It may be carried out through one-to-one befriending, attendance at activities, telephone or visits to the service. In addition, the local newsletter will keep them informed of the scheme’s latest news, upcoming events and activities, welfare initiatives and other community services that may be of interest. 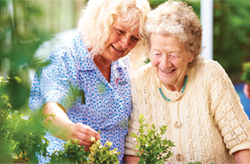 Many schemes are dementia friendly and provide specific services to meet our members’ needs. Fundraising and charitable donations are vital to help us continue delivering our vital, life-changing Live at Home schemes to over 10,000 older people living in isolation across the UK. You can fundraise at home, in your community, at work, or with family and friends by taking part in one of our challenging activities or organising your very own event. Whatever you choose, our fundraising team will be happy to support you!